The holiday season is officially here and I’m so excited to share my 2018 gift guide with you. Although I don’t typically agree with the American consumerist philosophy, the holidays are a great time to splurge on something special you’ve been eyeing all year – whether for yourself or a loved one. 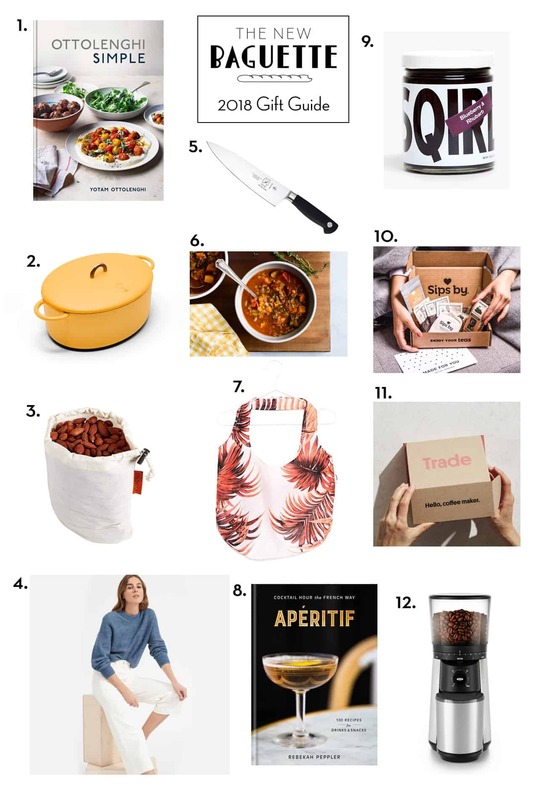 I’ve been keeping tabs on the latest and greatest in cookbooks, kitchenware, and eco-minded items for the past couple of months and rounded up my top 12 gift ideas below. Which of these would you be most excited to find under the tree?